We hope you had a great week and now it is time for you to enjoy Sebastian,Sheldon and Simon’s Top 5 from last week and then take a listen to the Pick of The Week Podcast on Wednesday to hear more thoughts on each book that they picked! It is just that simple! So enjoy the books every week at your favorite community for comic news, reviews, podcast and more only here at Comic Impact! KATE-GUY! MADAME MASQUE! LOS ANGELES! EXPLOSIONS! THE END OF SUMMER VACATION! THE FINAL SHOWDOWN FOR ALL THE MARBLES! THE MARBLES ARE A METAPHOR! YOU BELONG YOU BELONG YOU BELONG YOU BELONG TO THE MERRY MARBLE MARCHING SOCIETY! This is… THE BIG ONE. 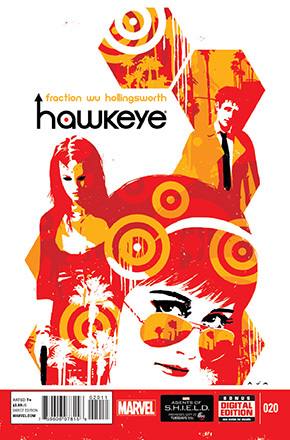 Fraction and Wu and Hollingsworth too — OH MY! 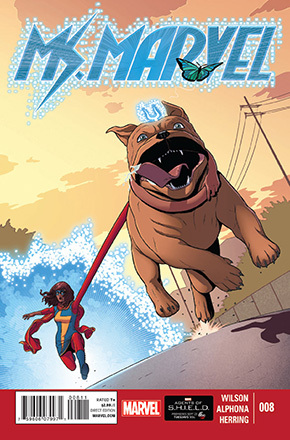 • Kamala crosses paths with Inhumanity for the first time — by meeting the royal pup, Lockjaw! • Every girl wants a puppy, but this one may be too much of a handful, even for a super hero with embiggening powers. • He may be the Queen’s pooch, but this dog’s one royal pain in the neck. 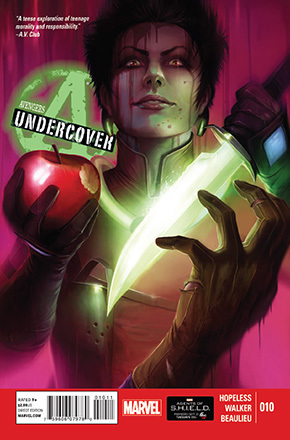 • And the return of Adrian Alphona! 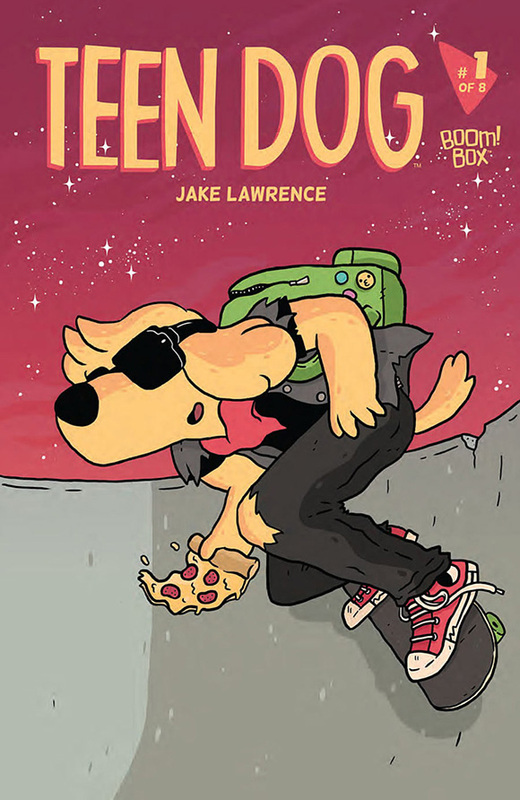 WHY WE LOVE IT: TEEN DOG is John Hughes meets ’90s Nickelodeon cartoons, two of our absolute favorite things. It’s a totally awesome adventure that stars the canine that spun out of Jake Lawrence’s web comic Time Cowboy and kickflipped his way into our hearts. WHY YOU’LL LOVE IT: How was your high school experience? TEEN DOG is high school if it didn’t totally blow, and instead totally ruled the most. Teen angst and whimsical adventures collide in this new series reminiscent of Doug, Saved By the Bell, and Kim Possible. WHAT IT’S ABOUT: Skateboards, football games, prom…your teenage years have got nothin’ on the raddest dude that’s ever graced a denim vest. Written and illustrated by Jake Lawrence (Time Cowboy), join Teen Dog and his best friend Mariella as they tackle typical teen life with a manic twist. Growing up is an adventure, and you might as well rock it! THE SECOND ARC CONTINUES! 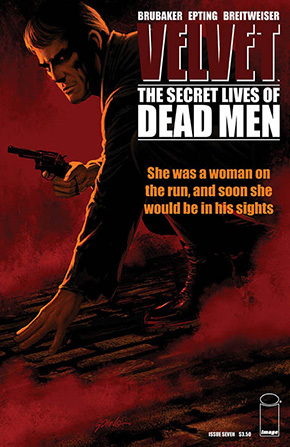 While Velvet’s been on the run, ARC-7’s top men have been hunting her…now they have her trail, and soon she’ll be in Colt’s sights. IT’S ZEMO VS. THE WORLD IN THE SERIES FINALE! • The Avengers & S.H.I.E.L.D. attack as Baron Zemo’s true plan is revealed! • Which Murder World survivor becomes a Master of Evil? • Be there as the character journeys that began in AVENGERS ACADEMY & AVENGERS ARENA end here! 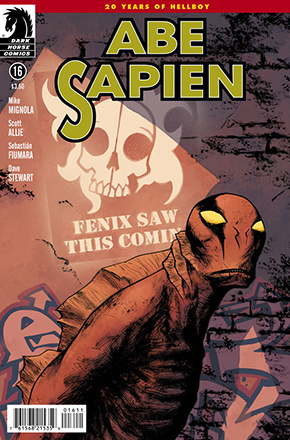 Abe returns to the place where Fenix shot him, and things get worse when a mysterious gas begins to leak from the ground. 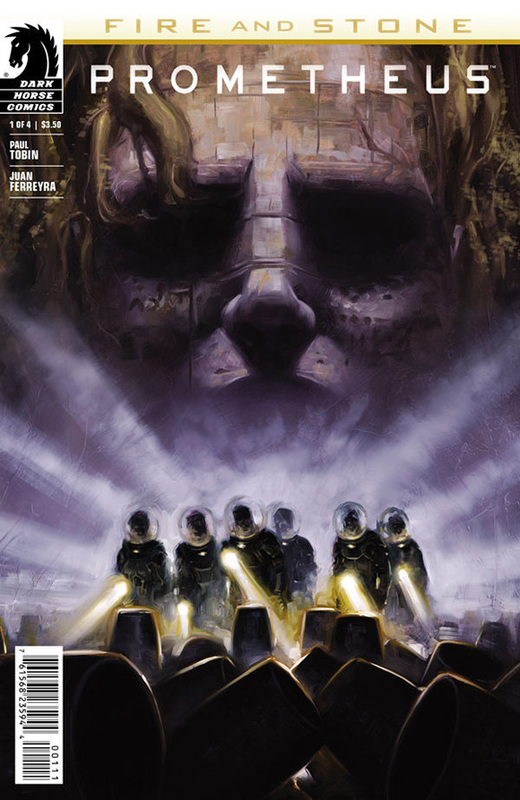 Pursued by a crew sent to bring him down, he runs into two different apocalypse cults, one of which worships Abe! Major new arc starts here! When the Prometheus never returned from her fateful journey to LV-223, the questions surrounding the origins of man went unanswered. 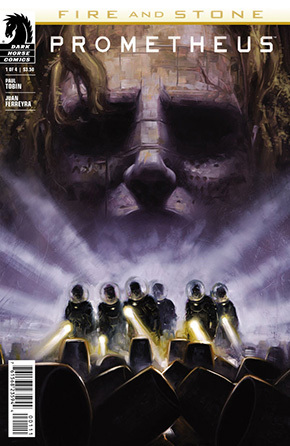 Now a new team of explorers seeks to uncover the dark mystery that holds not only the fate of the original mission, but possibly their own damnation. Ties directly into the hit motion picture! First issue in a blockbuster crossover event! 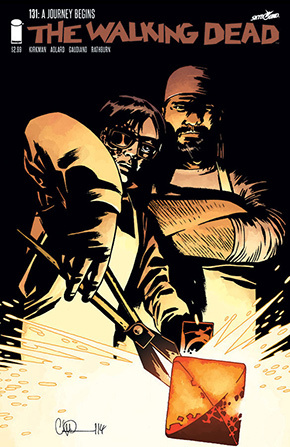 From Eisner Award–nominated team of Paul Tobin and artist Juan Ferreyra (Colder)! 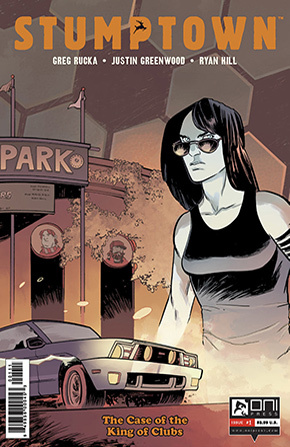 Greg Rucka’s fan favorite private eye is back in a new ONGOING series illustrated by Justin Greenwood (Image Comics’ THE FUSE)! Things never go according to plan for Dex Parios–it doesn’t matter whether it’s work or play. When a weekend of soccer fun (both playing and watching!) turns ugly, it’s up to Dex to get to the bottom of the violence before a heated rivalry transforms into an all out war! 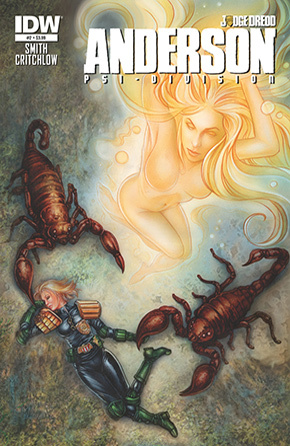 In an all-new adventure from Cassandra Anderson’s early days in Psi-Division, writer Matt Smith and artist Carl Critchlow present “King of the Six Sectors.” The theft of Cursed Earth artifacts has led Anderson deep into the swamplands near Texas City, where she grapples with mutant creatures and a heart of darkness… Plus, Judge Dredd! So make sure to subscribe to our podcast. we’d love for you to listen every week, so we made it nice and simple. If you’d like to subscribe to the podcast just go here. This link will open up iTunes and take you to the Comic Impact subscribe page on the iTunes music store. A big, bold THANK YOU to everyone to takes the time to listen and promote out show. We appreciate it more than you know.